For over 30 years, American Food & vending has been servicing business just like yours in Marlboro. 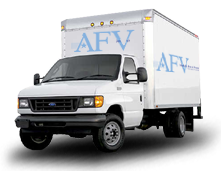 We are a full service vending company. Our professional, uniformed staff will install, keep full, and maintain your vending machines, at no cost to you with the exception of the power to operate them! That’s is right, your Marlboro business can have vending machines with Coca Cola products, Pepsi Cola products, vending machines with nutritional food and beverage selections, snack vending machines, candy vending machines, and coffee vending machines. There are also vending machines with either hot or cold food selections. 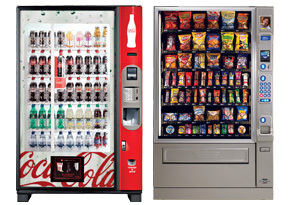 We have the latest vending machines that are attractive and use less energy. You get to choose what is best for your business. Coffee Service is also provided for our Marlboro customers. We will keep your break room loaded with coffee, teas, filters, cups, napkins, and the sweeteners and creamers it needs to make great coffee. We can provide quality coffee makers too. We carry the latest and greatest from Bunn and Newco. Single cup coffee machines can also be placed at your Marlboro business. You tell us what you want, and we’ll keep the great tasting coffee flowing! A key component to that coffee is the water it’s made with. Let American Food & Vending install a water filtration system at your Marlboro business! Storage of those large water bottles, and the pain in the back putting a full one back on the cooler, can all come to an end. You will save money in the long term by having your water source filtered into clean, clear, delicious water. A phone call at (800) 553-2222 is all it takes! Let’s get started now!